Hostinger Review 2019: Is it Really Worth Your Money? 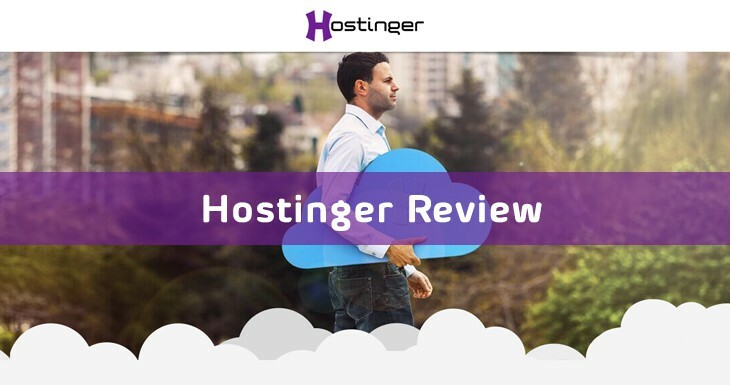 Hostinger Review 2019: Is it Worth Buying? Hostinger is the cheap hosting provider where you can avail hosting packages along with all the features that require for running a smooth WordPress, Joomla, or any major CMS platform. Overall, it is enough good and worth using. So, you landed here on this Hostinger Review to know everything about the host such as what they offer, features, benefits and the most important, Is it really worth using? 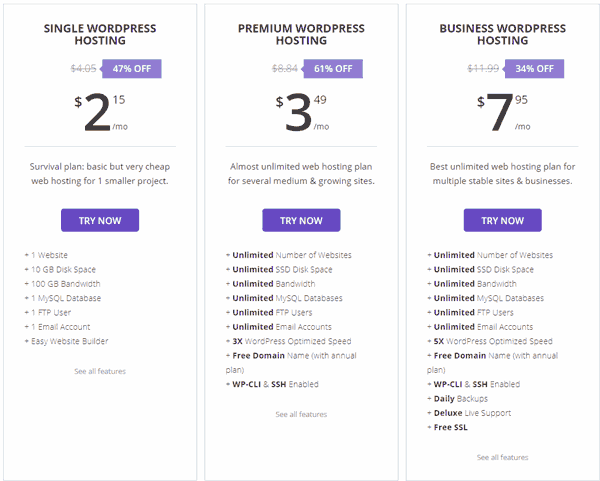 I have already shared some of the most popular WordPress hosting services to help you choose the best WordPress host, for quality hosting I recommend you must visit the linked page. If you have a low budget and cannot buy a paid hosting then here are free web hosts which can be used for creating a blog without spending a single penny. But, this approach isn’t good at all and if you’re going to start a blog for making money then picking the paid host would be a great move. Let’s come back to our topic; I mean Hostinger review. Hostinger is one of the affordable web hosting providers where you have choices to select from various plans as per your requirement with a free domain name (higher plans). With over ten years of experience and millions of customers around the globe, they offer all the essential features to run personal or business websites. They offer a free domain name, 99.9% server uptime, drag and drop site builder, 24/7 customer support, 30 days money back guarantee and much more. You’ll get a lot of features and benefits to run a smooth WordPress blog or website. They have a custom made cPanel for managing your hosting account, and any beginner user can understand it within a matter of minutes. You can monitor your account statics, file manager, domains, and email using it. It looks like they are providing exceptional features. So, to know about them let’s discuss all the stuff they have below in details. Hostinger Review 2019: Is it Worth it? You need a website so what you do? If you buy a domain name and web hosting it’ll cost around $50 to $80 per year, depends on the quality of web hosting. Usually, domain registration costs $8 ~ $15/year and hosting $2 to $10 per month. What if you get web hosting at just $2.15 per month, but you have to choose a three-year subscription. You can even get a free domain name which is available in higher plans, but the basic one includes a free sub-domain. Hostinger offers free domain registration for Premium and Business plans. But, it is not something new because every good host usually offers the same deal when you buy web hosting on an annual basis. If you choose a premium hosting plan, the price will be almost $3.49 per month for a three-year subscription which is pretty reasonable. Keep in mind, they only provide free registration for .com, .net, .info, and .xyz, but it’s still a great opportunity to get a free website name. It’s all in vain if your site has good content but is down against competitor sites, Is it not? Consideration of server uptime is one of the most important and crucial factors whenever choosing a web host. Server downtime happened, and I have experienced it with almost all the web hosting companies that I have used. But there is no need to worry because down times are tiny and acceptable. Keep in mind one thing; you must buy webhosting from a company who claims to deliver maximum server time. However, most of the users who use a free account to host website often complain of frequent downtimes but remember it’s a FREE service and quality comes with money :). There are always limitations when using free service, so for highest server-uptime, Hostinger has great servers to provide 99.9% uptime for all packages. The control panel is a bit different than the traditional cPanel. Hostinger uses a custom made control panel where everything is simplified so you can manage website easily. Even a newbie can easily use it, and all the possible functions are available including information about bandwidth, CPU, Email accounts, DNS records, and storage usage, etc. You can easily create sub-domains, database, and park domains. There are many other features also available within the cPanel such as managing email accounts and database, FTP account, file managers, and IP blocker. They offer a free Zyro Builder and hundreds of CMS scripts such as WordPress, Joomla, etc. with one-click auto install functionality. So, newbies can install WordPress using this One-Click installer within 2 minutes. There are hundreds of free template that can be customized using Zyro drag and drop builder. You can install any template with just one-click and can customize it with drag and drop feature. Ticketing System and Live Chat are the main ways to contact customer support which is best when it comes to web hosting. It’s simple, Live chat is the great solution to get in touch with the technical team whenever you face any issue. The customer support can be accessed anytime as they offer 24/7 instant live chat and email support. Additionally, their response time to emails is unbelievable as they respond very quickly. They reply within a few minutes to a couple of hours to fix your issues as soon as possible. They also have a knowledge base library where you can find articles about features, troubleshooting guides, and other technical information related to hosting issues. Hostinger is an ICANN accredited registrar using which you can buy a domain just at $8.99 for .com, $9.99 for .net, and $11.99 for .biz extension. .Com TLD price seems to be much lower compared to many other registrars. In other words, I can say they are the cheap domain registrar. Looking for a different extension? Then you can get .xyz domain name just at $0.99/year. Hostinger offers almost all types of web hosting such as shared, cloud, VPS, and WordPress hosting packages. All plans divided into sub-plans such as shared package has Single, Premium, and Business. Whereas, Cloud VPS hosting categorized into six different plans. You can get an affordable web hosting with a lot of features including free domain, unmetered hosting, unlimited bandwidth, custom Cpanel, etc. Below, you can see brief information about plans and prices for shared and VPS plans. As I mentioned above, this one divided into three plans, Single, Premium, and Business plan. With “Starter” plan, you’ll get 100 GB bandwidth, 10 GB storage, free domain name, premium technical support, and one Email account along with dozens of other features. It allows you to host one website. For unmetered data storage and bandwidth, you have to upgrade to Premium or Business package. If you just want to try Hostinger then going with “Single” plan would be a great option, and you will pay a few dollars per month. All the packages come with auto installer scripts, Website builder, Weekly backups (Business plan), DNS Manager, Domain redirects, Email account manager, and FTP account. So, you will get everything which required to run a website efficiently. And one more thing, besides Single plan, you get SSD based hosting storage which will skyrocket your site in term of speed. Now, if you want to avail FREE SSL certificate, daily backups, WordPress optimized speed, double performance, and Deluxe support then choose “Business” package. It also supports unlimited domain hosting as well as unlimited SSD hosting. You can create unlimited databases, email accounts, and FTP users. Their plans for WordPress websites are similar to shared plans but comes with some exclusive features such as WP-CLI, Optimized for better speed, and SSH enabled. Besides these, almost everything is the same. Hostinger offers six hosting plans in Cloud VPS so you can choose any plan that meets your requirements and budget. Prices are pretty low compared to the features they are offering. They use the latest technologies such as SSD drives to provide stable and reliable service. Enterprise data backup is another best feature and you can restore data anytime you want. Besides that, there is plenty of OS options available which enable you to run specific software that is not available on the shared hosting plan. Hostinger offers RAID protection, IPv6, IPv4, Xeon processor, full control over root and real-time usage information as well as network statistics graph. They also provide dedicated IP address in every VPS hosting plan. Cloud hosting offered by them is also the same as VPS, so there is not any big difference. In fact, they provide cheap cloud plans to help enjoy improved speed and server performance without paying high fees. Check below image for prices and all specifications you’ll get from each package. Decided to give them a shot? You can buy their hosting service using multiple payment methods such as Paypal, Bitcoin, Visa Card, Amex, MasterCard, Discover, Diner’s, Maestro and JCB, etc. Hostinger offers all the features which you can get from any popular hosting service such as BlueHost, SiteGround or InMotion at very competitive prices. If we compare Hostinger benefits with BlueHost, you’ll find that BlueHost is quite similar to Hostinger, but both companies have millions of customers worldwide with a positive reputation. It is clear that Hostinger is a low-cost hosting service which offers everything which required to run a smooth WordPress blog or website. But they are still offering industry traditional 30 days money back guarantee to gain customers trust. You can ask for the refund anytime within these days without worrying about losing money. Now, this is the most important part of this Hostinger Review, Is it recommended to use? Well, if we compare prices, features, storage, and benefits with other companies then Hostinger offer a lot of stuff at cheap prices. Right now, I am using their services to test and will update this Hostinger Review shortly. I will share all the statistics, speed test, and server uptime as soon as possible. If you have plans to keep your website online for the long term, then choose a 3-year plan for bigger savings. On the other hand, you can also go for the annual plan which I don’t recommend because it doesn’t come with a FREE domain name. Either way, you’ll get a quality hosting with a bunch of features but at low cost.